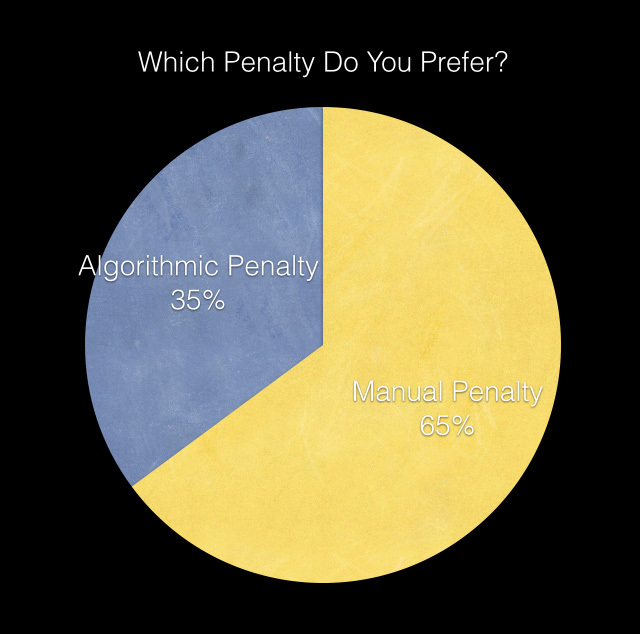 A while back, we polled our audience asking if they prefer manual or algorithmic penalties by Google - that is, if you had to pick one or the other. Imagine Matt Cutts coming over to you and saying, you're a bad boy. 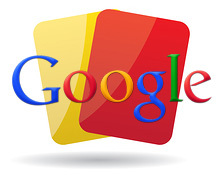 You deserve a penalty but I'll let you pick, you can have an algorithmic demotion or a manual action. Which would you pick? I explain in detail the different between the two over here and the response was that 65% prefer a manual action, whereas 35% said they prefer an algorithmic demotion. We had over 300 responses to the thread. Disclaimer: Please see my poll disclaimer post before coming to any conclusions on these results.